Born and raised in Calgary, I have 15 years working in Long Term Care and 16 years owning a Retail Service Business in Chinook Centre. In 2008 Driving Miss Daisy drove right up in front of me and well my early retirement was short lived. I have great compassion and understanding for the daily challenges that face seniors and those with disabilities. 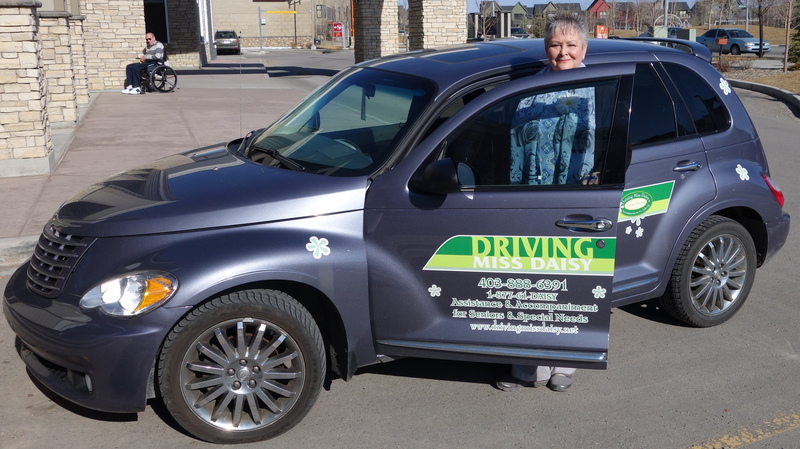 Driving Miss Daisy provides a very personalized one on one service to meet the individual needs of each client, from companionship to calling the Doctors office to schedule an appointment, helping to shop and run errands. I will be their advocate, their companion, their liaison. I provide Accompaniment, Assistance with Transportation please call to schedule a free in home consultation or you can email me with information on service required and I will forward my email brochure to review. All Driving Miss Daisy vehicles can accommodate wheelchairs and walkers when the client is able to self-transfer. Select locations have fully accessible vehicles. Please contact me for more information.